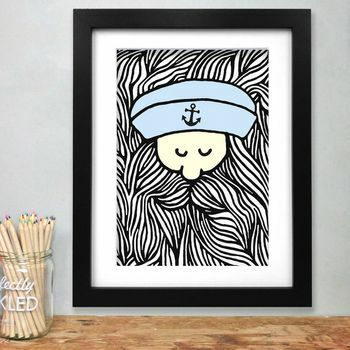 This is a fun illustrated wall print featuring an illustrated, bearded sailor. Funny, unique and attractive, this art print is sure to start a conversation once it is framed and on your wall. 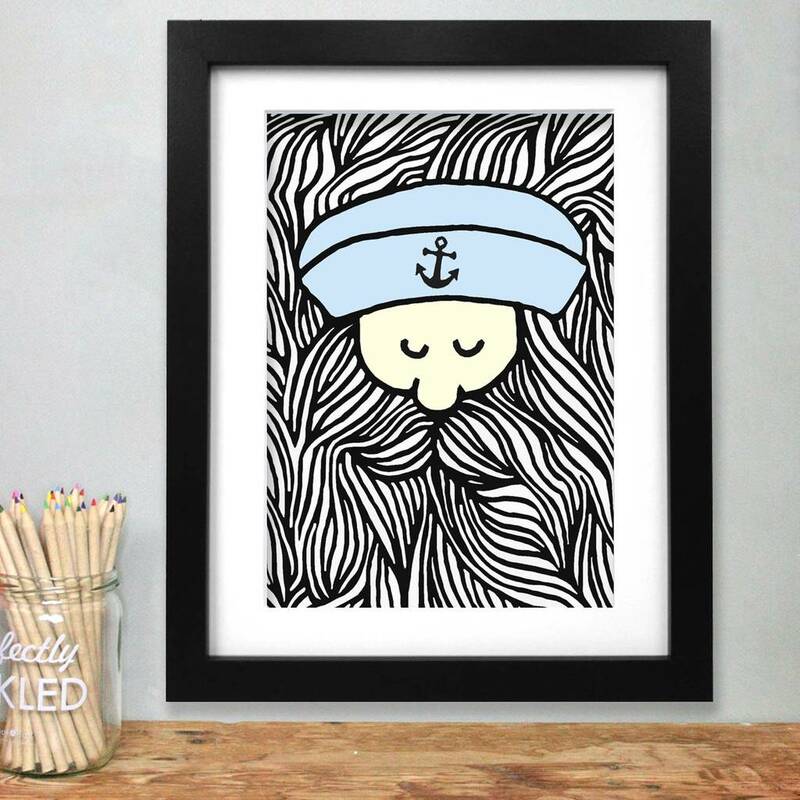 This art print features a bearded sailor wearing a blue hat. Keep this print for yourself or give it as an unusual gift to the sailor in your life! If you love this art print then you might like the other prints from our sailor collection. This print can be hung on its own or with our other bearded sailor prints. This print is A3 in size and comes unframed. It has been digitally printed on high quality 250gsm paper. This art print has been drawn by Megan at Neon Magpie and has been printed in the UK.